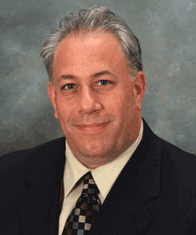 The Nationwide Insurance: William Viviano in Mooresville, NC provides the following products. To learn more about each insurance product, click on the links below. William Viviano is your local expert for Mooresville auto insurance and all the Nationwide policy options that go into building a personalized coverage solution. No matter what your driving habits, no matter the number and age of household drivers, there's an auto insurance policy that fits your needs. And it's not just the everyday automobile we can help with. If you have an RV, motorcycle, or boat, our agents can help you understand the unique coverage needs for these vehicles, too. Have questions about policy types, claim amounts, or liability requirements that apply to NC drivers? Worried about potential gaps in your coverage? Interested in learning more about the Vanishing Deductible® program? William Viviano can give you the answers. We'll also make sure you receive all the discounts for which you qualify, and the On Your Side® Review makes sure your policy keeps up with your evolving auto insurance needs. We recognize that purchasing auto insurance isn't exactly a favorite pastime for any Mooresville driver. By partnering with Nationwide and providing great customer service, William Viviano can make things a little easier on you. Call us today at (704) 230-2320, and we'll take the stress out of shopping for 28115 car insurance. You can also schedule an appointment to talk about your coverage in person. Our office is located at 213 S Broad St. The William Viviano has all the expertise you need to find a home insurance policy that makes sense for your property. Your risk profile can be influenced by a number of factors, down to your exact city block and street address. However, homeowner's risk isn't just about the Mooresville neighborhood in which you live. For example, you may have a detached garage, swimming pool, or an aging roof. 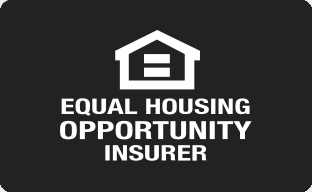 In any case, let Bill Viviano or one of our other knowledgeable agents explain the details of relevant coverage programs including other structures, umbrella liability, and Better Roof Replacement®. 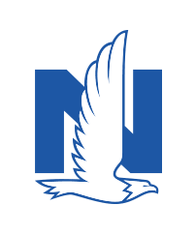 William Viviano has partnered with Nationwide to deliver superior home insurance solutions to Mooresville homeowners. Like any homeowner, you want to know that both your home and your family can return to normal after a covered loss. There are no extra hassles with the On Your Side® Claims Service. To make things even easier, you can opt in to Nationwide's Brand New Belongings®. There's no reason to let personalized options give you headaches when choosing your coverage. Call the William Viviano, and we'll be your no-nonsense guide to Mooresville home insurance. Buy a policy directly over the phone, or schedule an appointment. Our office is located at 213 S Broad St.
No matter if you have a family, a spouse or are single, you need a life insurance plan built with the help of Bill Viviano in Mooresville. Your plan is intended to provide you and the people most important to you with complete peace of mind, but you might be uncertain as to what kind of protection is best for your particular needs. Know that you have quick and easy access to professional help to ease your mental burden. If you’re unsatisfied with your current life insurance protection, or if you’re getting insurance for the first time, do yourself a favor and work with a life insurance agent who cares. When you’re ready, we’ll be waiting for you at William Viviano located at 213 S Broad St,Mooresville,NC,28115. You’re also more than welcome to speak with Bill Viviano directly by calling (704) 230-2320. Managing the daily operations of a business can be challenging, especially since you may wear more than one hat throughout the day. At William Viviano in Mooresville, we offer a variety of insurance solutions to help keep your business safe and secure, which leaves you with one less thing to worry about. We understand that every business has its own needs which is why we offer customizable coverage that fits your situation the best way possible. Whether it is a one-man shop or you have a number of employees, we can create a policy for you. If you are unsure about what types of coverage you may need, we are here to help. Bill Viviano will ask the right questions to determine what your company's needs are and make sure that you are properly protected against the unexpected. You may need business auto coverage, umbrella coverage, business interruption, or equipment breakdown insurance. You can also combine liability, property, and crime coverage into one convenient package if that works best for you. As part of our service to you, we will review your policy coverage so that you understand exactly what is covered, what your deductibles are, and what your limits are so that there are no surprises down the line. We will also perform periodic reviews and make changes as necessary, as your business grows. We know your time is valuable, which is why we make it easy to sign up for a policy. You can visit our office at 213 S Broad St or give us a call at (704) 230-2320. The William Viviano also offers products in AL, GA, NY, NC, PA, SC, TN, TX, VA. Please call for information on products in those states. Our agency has been in the Hickory Grove community since 1995. We proudly serve the Huntersville area as well. Together, we have 59 years of insurance experience. We're happy to use that expertise everyday to take care of your family. Local, personal service is the most important thing that we provide and what makes us different from all the rest. We want to provide superior service from a superior company like Nationwide. Nationwide has been doing business in North Carolina for over 85 years. Here at the William Viviano Agency, we are proud of that legacy and to have been a part of it for 20 years. We can cover all of your needs whether it's home, auto of life insurance. We also take care of all your business needs with our commercial insurance program. If you like to travel via other means, we can also write your motorcycle, RV and classic car coverage.